Fun Fact: Founded in 1868, originally known as Davisville the post office shortened the name to Davis in 1907. 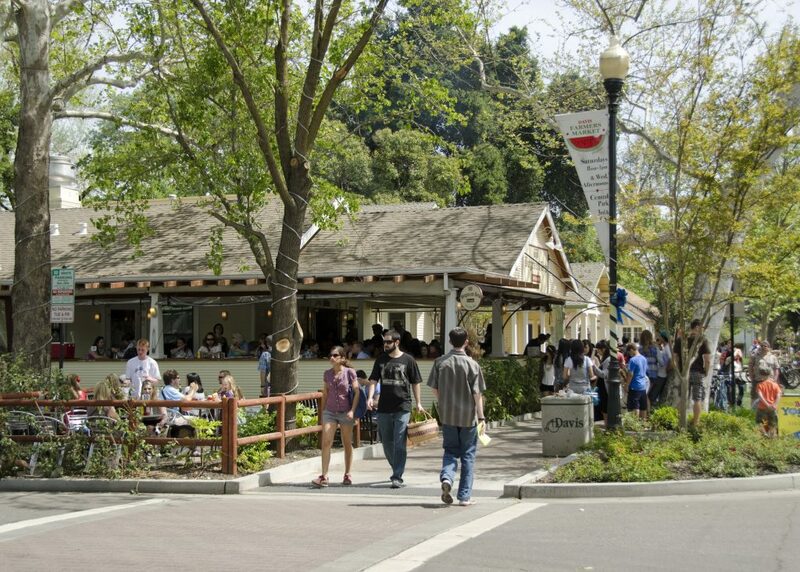 Unwind at the farmers market, or explore every nook around Davis by way of public art installations from mosaics and murals to Robert Arneson’s world-famous Eggheads. Whether it’s your rise and shine or day’s end, dining options are plentiful. Well-known regionally, Village Bakery is revered for its artisan pizza. Davis Creamery’s mind-bending ice cream flavors include Avocado Coconut, Chai, and Horchata as well as the usual suspects Chocolate, Vanilla and Strawberry. Yolo County’s farm-to-your-fork mantra is chanted at Our House where the craft cocktails, Market Muddles, feature fresh ingredients from the Davis Farmers Market. For more than 30 years, The Hotdogger has walked numerous diners down the frankfurter path. Beef, sausage, hot link and, yes, veggie all served on locally-made Village Bakery buns. With endless sunshine and cool evenings, alfresco dining choices are pleasant diversions. California casual and stylish, restaurants serve everything from classic Italian and two-fisted burgers to seafood and gastropub. Fun Fact: Niche, a company that researches and compiles information on cities, recently selected Davis as the 6th best college town in America. Lodging choices are available on and off campus. Consider where you need to be, parking and best options for getting around campus and Downtown. Living the Davis life is about walking, Unitrans and biking—especially biking. The Aggie Inn and Hallmark Inn provide complimentary bikes for guests, but bikes are also available to rent at bike shops in town. In 1967, Davis created the first official “bike lane” in America. There are now more than 100 miles of designated bike lanes (roads and bike paths) throughout the city and campus. Long known as the Bicycle Capital of the US, there are more than 40,000 bikes in Davis. The definitive bicycle-friendly city, the United States Bicycling Hall of Fame announced moved to Davis in 2009. Strolling or pedaling, put this in your must-do file. Located Downtown in Central Park, the Hall of Fame has one of the most extensive bicycle collections in America. Fun Fact: In 2018, Unitrans celebrated its 50th anniversary. Take a ride around town on a classic British double-decker bus. The iconic Davis Farmers Market, one of the first in California, is by all accounts a must on every student’s and visitor’s bucket list. 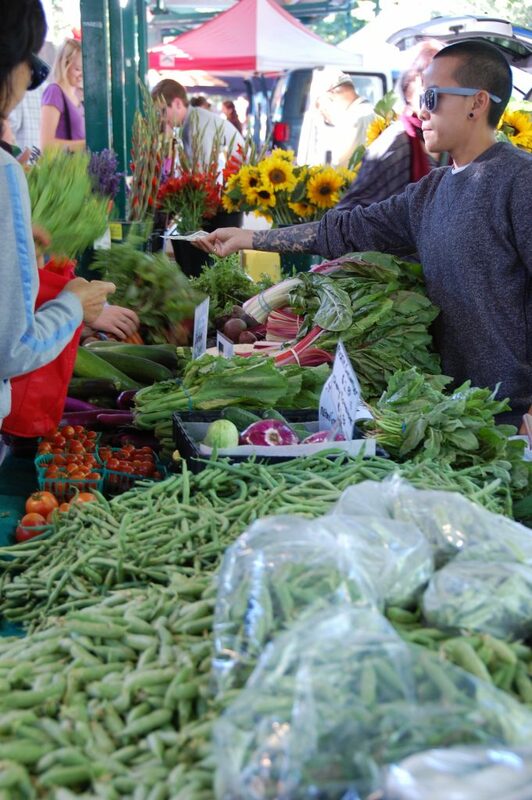 The every Saturday, year-round, rain or shine Davis Farmers Market is where dozens of local farmers, artists, restaurants and musicians nourish and delight residents and guests. Every Wednesday, Picnic in the Park begins and ends with daylight savings. Enjoy shopping the market, the Soroptimist International of Davis’ beer and wine garden, dining at the food faire, and great local entertainment. The annual rites of spring break have parents and students arriving in droves. In-state and out-of-state everyone is on the same hit-and-run road trip touring two, three or four campuses daily. Woo-hoo! Your acceptance letter arrived just in time for Decision UC Davis a free one-day program for admitted students and their families. Registration starts early so consider arriving the night before. A long day of tours, receptions, student service programs, fairs, entertainment and community you’ll want to be well-rested. Start calendaring for other upcoming big events including Picnic Day and Orientation. Picnic Day, the University’s annual Open House, is free to everyone. Events start early so many people arrive Friday and stay the weekend. A campus ritual since 1909, Picnic Day features more than 200 events throughout campus. 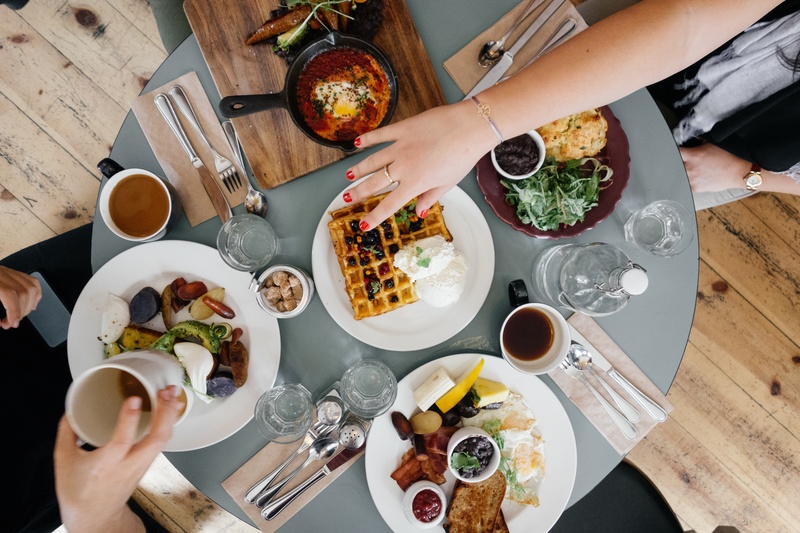 Start your Saturday fortified with a complimentary breakfast at your hotel or an all-you-can-eat breakfast hosted by the Davis Odd Fellows Lodge in downtown Davis. You’ll quickly burn those calories walking or biking your way around town. Fun Fact: The Odd Fellows’ Picnic Day breakfast tradition dates back more than 50 years. First-year and transfer students are expected to attend Orientation. Session dates fill quickly and space is limited, so students are encouraged to register themselves and any guests as soon as possible. A full two days of activities, Students and Family Program Orientations run separately and concurrently. Students are assigned accommodations in a residence hall. Parents have the option to stay overnight in separate residence halls, but many choose to stay off campus in a nearby hotel and arrive rested and in plenty of time for the 7:40 a.m. check-in. This is also a good chance for parents take in other Davis diversions. Most restaurants and retail superstars are Davis-centric. At Konditorei Austrian Café, traditional Austrian pastries, breakfast pizza or croissant breakfast sandwich have earned this Davis favorite 4-plus stars. If you’re looking for a quick bite, bedtime snacks or tchotchkes, the Davis Co-op specializes in local and regional produce and sustainable goods. Skateboards, snowboards and cool attire at The Vault Board Shop are Uber cool. For wonderful gifts and a little spiritual uplift, check out Tibet Nepal. Artist owned and operated, The Artery artist cooperative has been a cultural magnet since 1974. Fun Fact: Established in 1972, the Co-op is owned and operated by more than 11,000 households. Beyond Orientation, there are other opportunities for parents to live the Davis life. Move-in Weekend is a transition for students and parents. The Aggie Parent and Family Association is on site to help new parents navigate the shift into college life. In autumn, parents can sit-in on lectures and attend the afternoon tailgate and football game during the Parent and Family Weekend. Winter break is usually a more intimate time. Tour the Robert Mondavi Institute for Wine and Food Science and the new Jan Shrem and Maria Manetti Shrem Museum of Art the first contemporary arts museum for the university and the city of Davis. Fun Fact: In 2015, Davis was among the top 10 most hipster cities in the U.S. Located in the Central Valley, Davis and the campus are less than 20 miles from downtown Sacramento and 75 miles from San Francisco. Extended stays should include wine and olive oil tastings in Clarksburg and the Capay Valley. On the outskirts of Winters, down pastoral country roads, Berryessa Gap Winery and Berryessa Brewing Company are popular cyclist destinations. Drawing weekend crowds, the large covered patio hosts live music and food trucks. In Historic Woodland, stroll Main Street to Dead Cat Alley and Blue Note Brewing Company. In the heart of downtown Davis, it’s an easy walk to Three Mile Brewing Co. Craft brews change seasonally and often rely on locally-sourced ingredients; with 12 taps you won’t leave thirsty. Bring a picnic or order-in from nearby restaurants. The popular industrial community space is family, kid and dog-friendly. Daycation or overnight, this is how you live the Davis life. Click here to learn more about Davis hotels and packages.